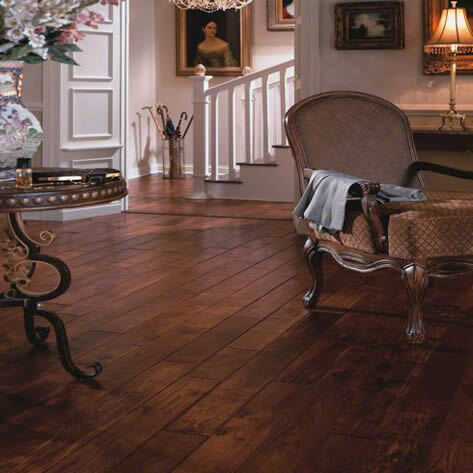 They say old is new again, and this couldn’t be more true when it comes to recent hardwood flooring trends. Today’s hardwood flooring consumers are looking for more authenticity from their flooring. And with more styles that reveal wood’s natural graining, color variations, and true character, hardwood flooring manufacturers are listening. Here are just a few great trends that offer homeowners more options for bringing the authentic natural beauty of wood into their homes. Distressing techniques such as hand scraping and wire brushing are being used to give domestic hardwoods a distinctly time-worn look. For those looking to replicate the rustic feel of the flooring found in homes built centuries ago, collections such as the Handscraped Solids series from Virginia Vintage by Anderson feature uniquely subtle imperfections such as chisel marks and indentions that give flooring an antique vibe. In addition to offering one-of-a-kind beauty, distressed woods work well to help camouflage possible chips, scrapes, and scratches from pet claws, active children, and every day wear. Many homeowners looking to bring out the natural textures and grains in their flooring are choosing low-gloss finishes, which produce less-shiny-looking floors. Aside from revealing a more natural look, low-luster finishes also help hide small scratches and dents, which can be much more apparent with high-gloss finishes. A great choice for high-traffic rooms, collections offered in low-gloss finishes, such as Manchester’s Solid Hand Sculpted Oak series, may also help to mask dust and footprints. 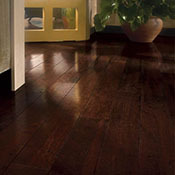 Also making a huge comeback are the wide 5 to 8 inch planks, commonly found in historic homes dating back to the 1800s. 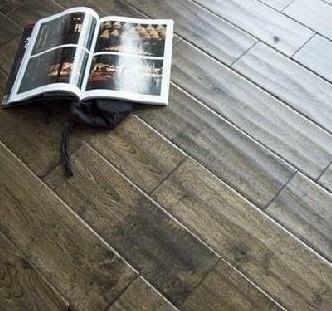 While a style from the past, today’s wider planks are being used to create a distinctly modern, seamless look. Wide planks typically featured in 5”, 6”, or even 7” widths, with lengths of up to 6 feet, also do a great job of visually opening up small spaces. While narrower 2-1/4” to 3-1/2” wide planks still remain a popular option, the wide-plank trend is gaining appeal, with some newer products available in planks as wide as 12 inches. 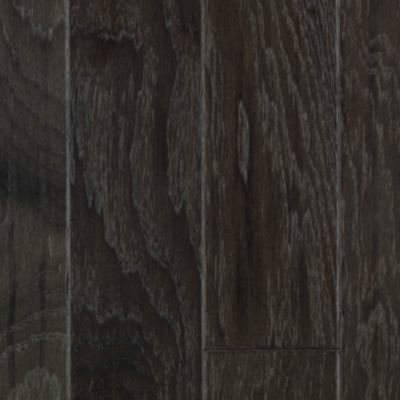 For those looking to mix it up a bit, the Lone Star series from Anderson offers a uniquely rustic look by mixing planks in 3", 5", and 7" widths. Want to add more drama to your room? Why not go with a darker stain color such as Bruce’s American Heritage Cherry collection in a rich Sangria? Deep, warm colors add a level of sophistication to any room. And the deeper the shade, the bolder the design statement. At the opposite end of the color wheel is a white-wash technique known as lime-washing or pickling. 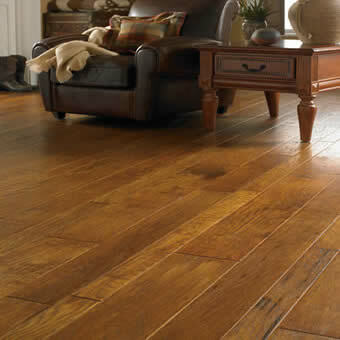 This technique is used to fade and age the appearance of woods such as oak and ash, providing a softer, coastal feel. Collections such as Coastal Art from Virginia Vintage by Anderson are a perfect addition to shore homes but can also work well with a variety of decorating styles, from rustic to formal. From light-gray stains to deep saturated charcoals, gray has quickly become the hot new “neutral” tone in hardwood flooring. Gray stains work well at highlighting wood’s natural grains and textures, allowing the flooring to be the visual focus of a room. While at the same time, a gray tone such as Mohawk’s Atherton collection in Stone Hickory will blend easily with most any décor. Want to see some of the latest trends in hardwood? Give us a call. We’d be happy to help you choose the hardwood option that works best in your home.